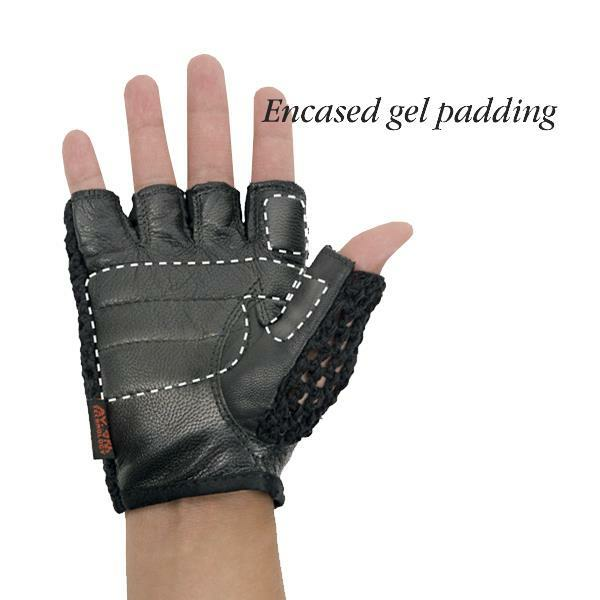 Mesh Back Anti-Vibe Gel Gloves are constructed of long-lasting, black cowhide leather with a cotton, crocheted back. 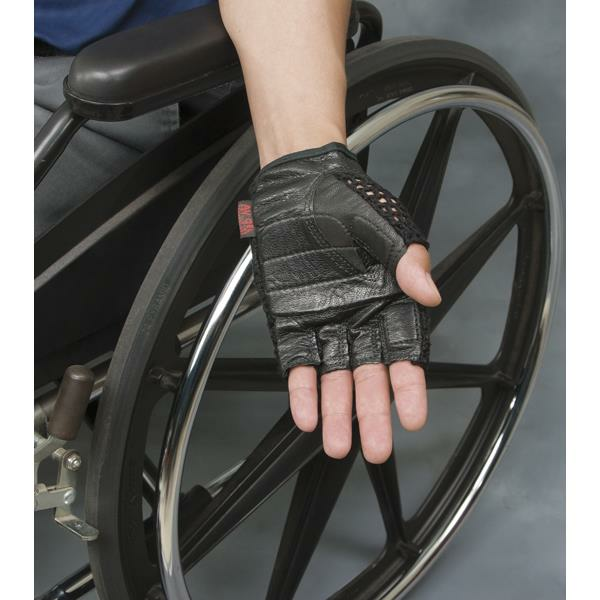 They have a extra layer of durable leather in the palm that covers the visco-elastic polymer gel inserts. 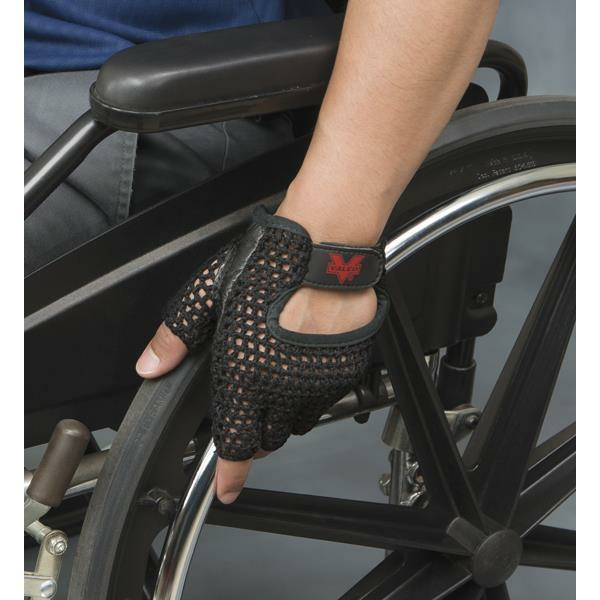 These anti vibe gloves feature gel insert cushions and protect palms during wheelchair use and retains the original shape. They are air dry. For size, measure hand width across the knuckles. Medium 3 3/4"- 4 1/4"
Large 4 1/4" - 4 1/2"
XLarge 4 1/2" - 4 5/8"
For size, measure hand width across the knuckles.